Silver, Gold & Platinum packages available from $85 - $180. Pros: I like the visual appeal and layout of the software and how easy it makes it for people to book in online but also how easy it makes it for me to be able to allow clients to buy online courses and workshops as well as classes. (Senior account executive) contacted me initially when i was setting up in business but at that stage i had signed up with MBO and I wasn't going to change but fast forward a year and I actually got in touch with rep to talk about their software as my online sales weren't as strong as I wanted them to be. The changeover was made as painless as it could be, a lot of the credit for this has to go to my account manager and his customer support team, who are very good at what they do and I speak with rep on a regular basis which helps greatly when like me you're trying to grow your business. The partnership between Glofox and Yoga Alliance Professionals is also a big plus for me but in relation to growing my business, nothing tops having our own custom studio app which i am delighted to say is now starting to perform really well ( not much use having an app if you don't know how to utilise it or promote it and for this i have to thank account manager for showing me the way). i now feel like i have software that matches my ambitions for my business. It hasn't all been plain sailing but what is!. I really believe in Glofox and can see them going from strength to strength in the future. Cons: The cons that i have experienced are simple, sometimes the software suffers from bugs but i know that Glofox work hard to eradicate this and in my experience the customer support team always have a solution to help you navigate around this until they find the problem so for me it's something i can live with as the updates and new additions to the software plus the fact that i can see through their reports, exactly where my business is growing. Comments: I was just about to sign up to Mindbody when a friend pointed Glofox out to me. After carrying out a demo of the software I was very happy with how easy it was to navigate and my decision was made instantly. Since joining our bookings are up 40%, we're saving heaps of time which was previously spent doing admin and our client base is growing at an incredible rate! On one hand I had Mindbody. If you're looking for software and a custom branded app just as I was (was adamant to make it as simple as possible for people to pay me so wanted an app), you would have to go for their most expensive package at '195 a month. Mindbody also increase your monthly subscription fee when you hit a certain number of members or trainers using the app. My intentions were to use a software package to help us really get a handle on our admin and free time to grow my business. With this growth in mind, expected costs could almost double in the next few months, leaving me with a pricing package I could no longer afford. On the other hand, I had Glofox. Their pricing packages range from '80-'140 a month and each package comes with a custom branded app completely matching your business's brand. Not only this, they don't charge you for adding more members or users. As the sales rep I spoke to put it, they want to see your business grow and for this reason, they're not going to penalize you for doing just that. A breath of fresh air if you ask me! Our custom branded app from Glofox gives our members a really simple means of booking and paying for our services. On the backend, I needed a system that would help me minimize admin with as few clicks possible without overcomplicating things. I've found the Glofox Dashboard really clear and simple to use. I tend to set my Dashboard to show weekly bookings, payments due and revenue for ease. I can create and update my schedule, manage memberships including payments, renewals and automated billing in my Dashboard too- really great having everything in one place! Overall, there's nothing better than working with a team of people who really want to see your business grow stronger every day. With such a quick response time to any of our queries, it's safe to say choosing Glofox has been the best business decision I've made. Mindbody won't know what hit them! Pros: I like pretty much everything. 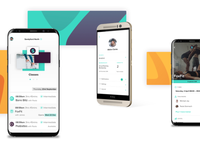 My members get a really modern app with a ton of features that allow them to manage their own schedule and not have to constantly contact me for bookings or payments. I get a lot of easy to use features that automate a lot of the repetitive tasks I have been doing, plus its really easy to see how your business is doing with the reporting tool. It also auto charges clients on a monthly basis so I don't have to chase payments. And their support team basically did all the setup for me walking me through everything. they are super helpful! Cons: I like everything about it. I can't think of how they could improve it. Recommendations to other buyers: I love it and highly recommend it. Its tailored to help my business grow and improve my members experience. All my members love it, they love how it's so useful to them and how professional and easy to use it is. Overall: Saved time, effort,man-hours on administrative task. Pros: Glofox won me over and from here on out, the support has been terrific - so accommodating to the needs of my business and eager to answer questions and solve problems. Cons: Not really a con, but for any business owners questioning if Glofox is worth the cost, the answer is yes. It's worth it. The Glofox team will care for your business on your journey to success and won't toss you aside once the sale is over. The quality of their software, their continued support and the simplicity of their service for me and my members is more than I could have asked for. Overall: Having come from no previous management system, Glofox was a God send for us! To begin with, the sales rep I spoke with was very helpful, he asked me what my problems were, what I wanted to achieve and worked with me on figuring out the best way to accomplish them as opposed to pushing a software in my face. Once we jumped into the demo, ease of use was the key reason I went with Glofox. I demoed quite a few softwares before finding Glofox and I couldn't believe how difficult they seemed to grasp. I needed to get rid of the headache of managing bookings and it just seemed like these other softwares were going to add to that headache. Recommendations to other buyers: Take advantage of the unlimited free training sessions! Comments: We spent a long time researching different studio software options and Glofox has definitely helped us make big technological strides forward from the app to check in kiosk capabilities. Though the retail aspects are second tier, these aren't our top priorities either at the moment. Would definitely recommend trying the demo and exploring Glofox to other yoga studios. Pros: The interface for both our staff and students has been far more intuitive and easy to use than our last program. The reporting is clear and the app has inspired more online bookings for classes. Check in is starting to run more smoothly giving our teachers more time to focus on class and less time dealing with frustrations with a clunky system at the desk. The way the system is set up also allows individuals to navigate it in different ways that make the most personal sense to them rather than forcing everyone to learn the exact same steps. Customer service has been very attentive and responsive as we've made the transition to Glofox which is much appreciated. We have felt supported through the whole process so far. The more we learn about the program the more customized we've made it to our needs which has been great. Cons: The only cons so far are minor tech capabilities we're hoping to see evolve soon. You can only sell one retail item at a time, though there are some work arounds. We would also like to be able to check our teachers and staff into class and sell them retail items without creating separate student profiles. In the grand scheme of operations these are small details that haven't derailed us and we look forward to seeing upcoming changes with the program. Pros: -The dashboard is a life saver when it comes to managing my business. I don't have to spend countless hours on admin! I couldn't even imagine going back to tracking bookings, attendances and payments manually. Overall: Glofox makes it really easy for me to manage my business day in, day out! The dashboard is straightforward and simple to use, yet powerful enough to do everything I need it to. A great service and a great team of people behind it too! Recommendations to other buyers: Honestly, well worth the price for their service. It was definitely the right decision for our business. Thanks for everything Glofox! Thanks for taking the time to write a review of Glofox! We really appreciate it. Comments: My experience with Glofox has been fantastic. The training was very easy to follow and their support team made sure I had everything I needed to get up and running - very understanding and always happy to help out with any queries. Pros: The admin dashboard makes it really easy to keep track of my class schedule, memberships, payments and overall member activity. If you want to spend more time than ever before with your clients helping them achieve their goals, you need a system like this! The reporting section of the dashboard makes it effortless to monitor our performance: sales (by class, membership, course or even trainer), first time visits, bookings and attendances etc. This is great for identifying areas of the business that have room for growth. The app itself is so simple for our members to use. They can easily book their class or course and even pay for it straight through the app. If there's an update or news that I need to circulate fast, I can do it with the app, minus the hassle of calling up clients or wondering if they opened the email or not. These push notifications through the app are a great way to promote new classes or courses too. People see our messages on the home screen of their phone almost as soon as we send them and they can book in on the exact same platform. The perfect way to increase bookings and keep the momentum going! Not to mention, a great way to generate new leads. We can promote the app and encourage potential members to download it and get a taste of what we have to offer. Cons: It would have been great if we found Glofox sooner! Recommendations to other buyers: Don't overlook a software like this and what it could mean for your business. The team at Glofox are committed to helping you stay ahead of the competition. The value of that alone is so much more than what their competitors have to offer. 10/10 Glofox! Pros: How easy it really is. Structured so well, that all you have to do is fill in the blanks. I was actually surprised on some of the features because I would have never thought I would need certain things. So it added to my business plan and gave me more knowledge. Overall: Less Stress really. You can focus on your strengths and on your clients. Do not have to worry about transactions or being at two places at once. You get more than what you pay for. It helps you to also grow your business and expand in various ways all while keeping stress levels low. Thanks for sharing your experience! We're delighted to hear that Glofox has helped you to follow your true path. Should you have any more feedback, feel free to send it to feedback@glofox.com. It has been a pleasure working with you! Pros: It's extremely user friendly and has been simplified to ensure minimum amount of steps required in all customer aspects from booking classes to purchasing memberships. It allows customers to book in at any time of the day or night & allows us to have full transparency of who's attending each and every class. We're working hard to make your day to day run even smoother in the long run. We have a tonne of new features in the pipeline, and we're also working on improvements to some older features that you mentioned. We'll be sure to let you know as soon as they're available - we can't wait for you to test them out! Overall: At the start of using Glofox I was a little apprehensive. There is a fair amount of effort to populate the data. The support I received at the start and ongoing has been exceptional. I feel fully supported by the Glofox team. In particular Stephen, who is absolutely amazing. The feedback we have been getting from our members has been amazing. Our members have completely embraced Glofox, it's intuitive and allows them to be self sufficient and not dependent on the gym for payments and bookings. Our team can spend time building relationships with our members instead of having to worry about paperwork, Par-Qs (all fully integrated), payment details, monthly subscriptions etc. The user experience on the App is great. 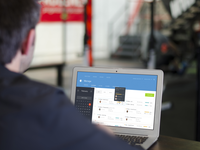 The back end system for the gym has helped us understand our business and look at opportunities for growth. We can run quick and easy reports, and email all our registered members (over 1000 now!) in one click. It's saved so much time and effort. Glofox is an investment for your current business and future growth. I would strongly recommend Glofox for your gym. Hi Julie, thanks for the amazing review! We¿re delighted to hear that you¿ve found our support team super helpful. It¿s also great to hear that your members have completely embraced Glofox - I¿m sure they¿re delighted to be able to book and pay straight from their smartphone! Keep up the good work and If you have any questions, we¿re here to help. All the best, Glofox Support. Comments: I was just about to sign up to Mindbody when a friend pointed Glofox out to me. After carrying out a demo of the software I was very happy with how easy it was to navigate and my decision was made instantly. Since joining our bookings are up 40%, we're saving heaps of time which was previously spent doing admin and our client base is growing at an incredible rate! If you're looking for a great alternative to Mindbody, these are the reasons why I went with Glofox and made one of my best business decisions to date: On one hand I had Mindbody. If you're looking for software and a custom branded app just as I was (was adamant to make it as simple as possible for people to pay me so wanted an app), you would have to go for their most expensive package at 195 a month. Mindbody also increase your monthly subscription fee when you hit a certain number of members or trainers using the app. My intentions were to use a software package to help us really get a handle on our admin and free time to grow my business. With this growth in mind, expected costs could almost double in the next few months, leaving me with a pricing package I could no longer afford. On the other hand, I had Glofox. Their pricing packages range from 80-140 a month and each package comes with a custom branded app completely matching your business's brand. Not only this, they don't charge you for adding more members or users. As the sales rep I spoke to put it, they want to see your business grow and for this reason, they're not going to penalize you for doing just that. A breath of fresh air if you ask me! Our custom branded app from Glofox gives our members a really simple means of booking and paying for our services. On the backend, I needed a system that would help me minimize admin with as few clicks possible without overcomplicating things. I've found the Glofox Dashboard really clear and simple to use. I tend to set my Dashboard to show weekly bookings, payments due and revenue for ease. I can create and update my schedule, manage memberships including payments, renewals and automated billing in my Dashboard too- really great having everything in one place! Overall, there's nothing better than working with a team of people who really want to see your business grow stronger every day. With such a quick response time to any of our queries, it's safe to say choosing Glofox has been the best business decision I've made. Mindbody won't know what hit them! I love Glofox and can't live without it anymore. Pros: It's beautiful and save me a lot of time. I don't have enough words to describe how much it changed my life and my mental health. I used to live with Excel sheets and spend a lot of time booking students. Now I have more time free to talk with possible customers and to work on my studio marketing. The app is great and easy to use and there's a lot of great things. I love the push up notifications, the waiting list, the store. Cons: The app is great but we know how technology works, and yes there's some glitches. The desktop version very ugly what surprises me after their beautiful app. And no admin app, using your own app with your admin account you'll have access to some admin functions, a few. Overall: I have more free time to spend with actual important things instead of spending my life managing my studio. My sales are improving and my students love the Glofox. Thanks for sharing a review of Glofox! It's great to hear of the mental clarity you've achieved from the transition from spreadsheets to software. You'll be delighted to hear that we have a new Web Portal design coming very soon - so watch this space! A newer company that has the ability to dominate this industry. Pros: The customer service is beyond what I have ever experienced with any company before. Ever. The software itself looks very clean and professional, moreso than the competition, and that professional image is extremely important to me. Ease of use for my clientele is paramount and they have nailed that. The app that we received is our own branding. It's not a Glofox app, it's a Vernon Yoga app. I like that. And it does more than the industry standard. I like being innovative and Glofox allows me to be ahead of my competition. Cons: Glofox doesn't yet have a system designed for families to all be one one Member account (but their competition doesn't either). Also, Glofox doesn't yet have employee management capabilities or loyalty programs, but I believe it's on their to-do list. They are well worth the wait. Overall: My book keeping was on pen and paper before I implemented Glofox. Therefore, we had a huge honour system as far as client payment. Our revenue has increased by a substantial amount simply by having Glofox remind staff and clients when their next payment is due. In addition, Glofox has literally shaved about 2-hours off of my workday. Saving time and money is enough of a benefit for me! Huge congratulation on making the switch from pen and paper to software! It's great to see your studio saving more time and money than ever before. We appreciate the feedback too - those features are indeed on our roadmap. We'll be sure to update you as soon as they become available! One of the best studio investments I've made! Pros: It organises members, keeps them in constant contact, promotes the studio, sells products, is highly efficient and easy to use. Not only that, there is a great help service which has been available to answer all sorts of mundane questions from me! At all sorts of hours might I add. I'm not the best on computers so this in itself was super helpful. It didn't take me long at all to get the hang of working the system. It is by far one of the best studio investments I've made to date. Overall: Glofox is a wonderful system that has helped me in a number of ways to run my studio in an easy, organised fashion. I was hesitant at the start to change my ways, but a year in, it only gets better. Recommendations to other buyers: The return of saving both time and energy alone is priceless. Thanks for a writing a review for us! We appreciate you taking the time. We'll always be here to help no matter what the question, or the time! Keep up the great work. Pros: Crossfit is all about community and making our athletes feel welcome. Having to ask athletes for their due payments at every session was completely ruining our vibe. The payments aspect of Glofox not only saves me so much time, but I'm no longer losing money because I want to avoid an awkward conversation. Everything is automated. 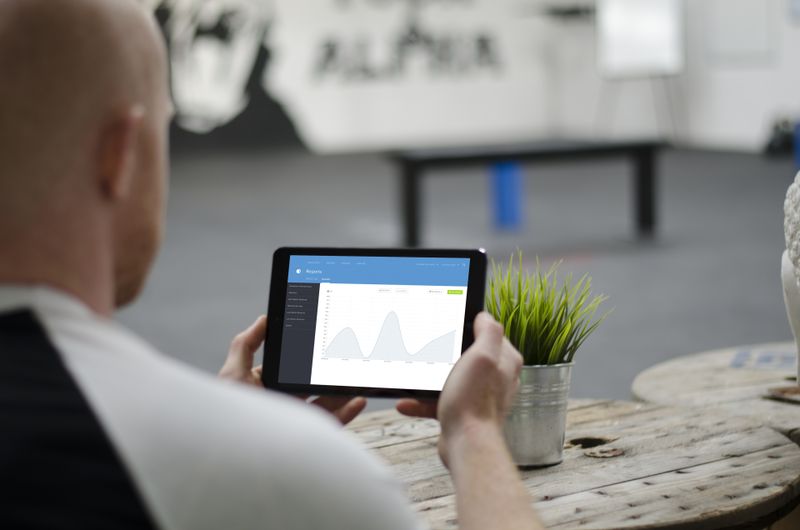 Athletes book in for their WOD through the app, pay through the app and I can easily track all of these details in my Glofox dashboard. Recurring memberships mean I don't have to do anything - ANYTHING. It's so simple, makes such a huge difference to our revenue each month and gives me back a bit of sanity! Before Glofox my box was run on pen and paper. Not organised and definitely not scalable. If I ever wanted to expand the business I'd need to get my processes together. And that's what I did. When I realized how much money I was actually losing from my pen and paper approach, my decision was made. The support team were superstars getting me up and running! So happy to help. They have an online knowledge base too that has quick how to articles and videos - so helpful! Thanks for taking the time to write a review of Glofox! We're delighted to see you saving more time and money each day. You've been a pleasure to work with and we look forward to a long relationship! How complicated became simple, finally we have a system that helps us generate business! Pros: This software is customer friendly. It's layout is simple to use and once you understand the functions it's super fast which has meant staff training time is reduced as well as client training also. I have all the key information I need to hand and when reconciling month end figures and performance it has over halved the time taken and improved the accuracy of reporting 100%. The staff at Glofox have been fantastic from start all the way to support once we have launched. Marko was our project coordinator and his help and guidance has made the whole transfer feel seemless. The support staff are fast and really great at helping sort any queries we may have. The connection with stripe is working really well and has actually massively helped our cash flow as opposed to confusing direct debit charges and payment frequency's. I'm yet to establish something wrong with this system and if we identify any areas that need adjusting the team at Glofox already seem ahead of the game. The web integration is the easiest I've seen, having used mindbody previously I was astounded as to how simple this is, we can share direct links, you tube videos etc. Cons: We are nearly and Month an Half into our full launch and as of yet I can't find anything I don't like about it. 1. The customer service - having an actual human I can contact in case I need support who can respond quickly. A revelation!!! 2. Ease of use for my clients - the system is super intuitive and 98% of clients just started using it without any further queries or issues. 3. Ease of use as a manager - quick and easy to update, it is very straightforward compared to similar yoga studio management software out there. No hidden boxes or options - it just does what I need it to do! 4. Coming from a pen and paper system Glofox has saved me so far on average 5 hours of admin time a week. 5. Price - WAY better value for money compared to its competitors. Depending on subscription level it is much cheaper OR includes much more functionality than the leading yoga studio CRM. Cons: As it has not been around THAT long compared to other yoga studio CRM software there are some functionalities that still need to be added but there are always workarounds and I have 100% faith in the Glofox team that they will catch up in the next months (they are pretty ace!). You picked everything up so fast. Keep your invaluable product feedback coming our way! Viable but slightly an incomplete product. Pros: I liked the idea of using an app and an easy system of payment, but it heavily depends on your consumer age group. Reports were great indicators of revenue and made it easy to pay instructors. Customer support is very friendly and helpful in fixing issues and many features we complained about were fixed in the end. A large directory is available to help use the program. Able to check how many people booked into a class before hand (although rarely did people book long in advance). Cons: The issue with Glofox is that it is completely filled with glitches. Everyday people would come and complain that they couldn't pay, their account showed credits but they didn't actually have any, or they bought 4 membership packs because it was too easy to pay with the system. Other issues: No family functionality, to sign in a family doing a class they need individual accounts and to log in separately. There is no rule for mass deletion/creation of classes and has to be done manually. Most annoying problem: After the class starts people cannot pay. This means I have to sign them into the class causing me admin. Glofox announcements don't notify the customers unless they check the news, meaning important info is ignored. Report filters are NOT ORGANISED, meaning I have to scroll through 340 classes to find 1 class. Very annoying. At the start there were many app issues such as random closings, missing classes, and general payment issues. If someone wanted to join another class 10 minutes before the end of their class it would not allow it as it "overruns". Basically stopping me from making more money. Glofox's software is easy to use and their customer service is second to none. Pros: When we were in the exploratory stage trying to find the right software for our gym, we sought to find a product that was cost effective, user-friendly, adaptable, and came with responsive support. We couldn't be more pleased with the ways that Glofox has delivered on those categories and exceeded our expectations. Cons: I'm not sure we have had enough time with it to find any faults for the applications that we'd like to use it for. The only drawbacks I could foresee would have to do with adapting a service within the app to meet a unique need we have as a Recreation Ministry. I'm confident that we would receive support to assist us in meeting that need though. Overall: The Glofox app has taken our gym to the next level. We really needed a way to connect with our members in an effective way as well as concentrate our information into an easy to access forum. Glofox has enabled us to do that in a far more cost effective way than having a custom-designed app from a non-specialized software company. Since they focus on gym owners and operators, they offer you solutions that you might not even realize that you have yet and walk with you through each step of the process. I would recommend their services to anyone who wants to grow their client base, have less overhead and automate their administrative and scheduling processes. Thanks for sharing your experience! It's been a pleasure working with you and the team at Dawson Recreation Ministry. Partnering with Glofox has been the single best decision we have made in our business. 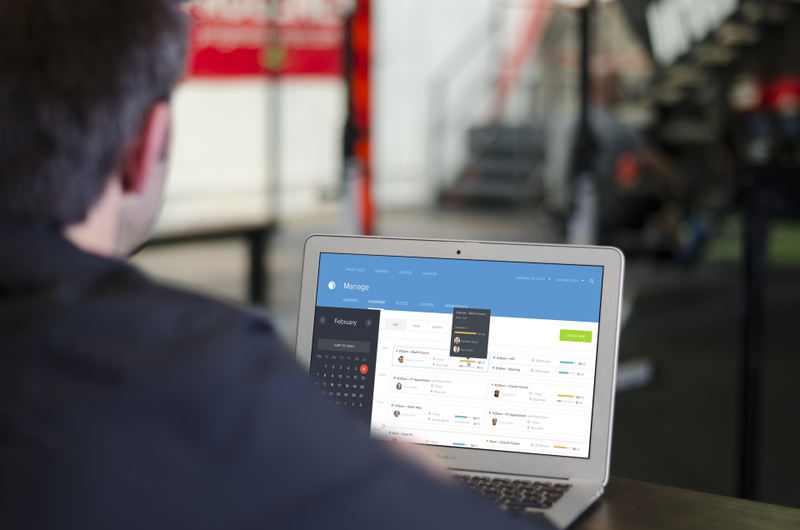 Pros: We made the mistake of trying to manage our own CRM when we launched our gym. Within 4 weeks of opening we realized this was a huge mistake. We considered many platforms and software company partners to improve our efficiency. The Glofox integrated platform for booking, communication, CRM and payments has given our customers a fantastic experience, interface and reliability when booking and paying. For us it saves us countless hours each week, works efficiently on the go, in the gym and literally on the studio floor whilst coaching. Every technology has an occasion gremlin but if so any problem is quickly remedied by their great team, who work as hard for you, as you do for your own customers. Cons: Our own company branded Glofox app, the most expensive solution, did take slightly longer than we hoped to get finished, only a few days late, mainly because of Apple app store slowness but it was worth the wait in the end. Fantastic software and support team! Pros: The ease of the booking system as well as the integrations! Cons: I wouldn't say there's anything I dislike, but would love to see some sort of forum/group that our members can comment/post onto! 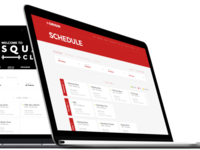 Overall: When my business partner and I decided to open up our own fitness studio last month we knew that we would need some sort of booking software/client management system. After trying a few trials/demo periods from different companies, we came across glofox and decided to give it a try. Honestly after 10 mins of trying out the software, I loved it straight away! I booked onto a demonstration call with Richard and got set up very easily! We did run into a couple of issues where there was an issue with the crossover from trial account to the premium version. This caused issues for us as the whole system was down for a few days. Credit where it's due, the guys were in contact with us daily to update us on the problem and how to fix it. We were booked onto a 'call' where the support team identified and fixed the problem immediately, turning out to be something minor. Since then, we've had no problems! Our clients are loving the app and we are too! Highly recommend! Oh, and the price? Definite value for money! Recommendations to other buyers: As mentioned above, I'd like to see the forum feature added so that we can engage with clients through the app in a community/group setting as opposed to using Facebook! Great to hear of your positive experience with Glofox! Could you say it was.. love at first sight? We appreciate the product feedback too - we'll pass this on to our development team! Fantastic service. Extremely happy with the product and my entire experience with the Glofox team. Pros: From the moment I applied for the demo call, I was sure Glofox was the right option for me. The sales rep I spoke with was Ed, who asked me what my current problems were while running my business. Once I'd outlined them, he showed me how Glofox was able to help me manage everything, take the stress out of the admin end of things and help me free up more time to do what I do...train people. Once I chose to go ahead with the product, the customer success team were a great help in showing me how to use to app and dashboard to get the most out of it. They were always on hand to help with any questions that I had. My biggest barrier to going with a management software earlier was cost, and this was one of the big questions I had but once I started the process, it was a no-brainer. The software has already paid for itself by helping me keep track of memberships and reducing lost revenue. Thanks for taking the time to write a review of Glofox! Great to hear that you're saving precious time and driving revenue upwards! We really appreciate the feedback too, we'll be sure to pass it on to the product team. Pros: I like how they offer you the support on set up for 1.5 hours.. It makes my job easier for my clients that I refer over to get their POS software. Easily get your store up and running with some awesome features USA hours and 24/7 customer service which I have not had to use yet..
Pros: It is visually appealing. It has many options from the administrative side that, if they worked, would be great, such as applying memberships to different kinds of classes and doing custom charges to people's accounts. At first, we were in contact with their support team often...at first. Some of the initial glitches were removed when we began doing their new Beta but it didn't change much at all, honestly. Cons: They make a ton of promises they can't keep. Mostly pertaining to "self sign-in". I have over 1000 clients at my yoga studio. Every single day at least 10 of them (the ones that haven't given up trying) tell me they couldn't book a class, couldn't apply their membership to a class, etc. Quite annoying. Also, GloFox has double-charged MULTIPLE students with no evidence on our end. Students have come up to me and shown me bank statements that I had 2x charges that were invisible from my side of the world. Scary. Whoops, GloFox! I want to say their customer service is good but they make tons of promises they can't keep there either. "We'll fix it ASAP"...no call back, no fix. There is also no way of using an iPhone/iPad with this software from our administrative end. No admin app at all. Just a glitch-tastic (but visually appealing) app for users. Anyways, I could go on. Just don't go with GloFox if you're trying to be professional/successful. If you're just trying to save money, you'll get what you pay for with this one. Overall: It taught me what I want and what I do not want, and for that I am appreciative. Overall: Quite mix feelings as we been using Glofox software for 6months during which they had a change in dashboard software. Whist using the previous dashboard we had numerous non functional issues. Such as unable to erase/ change classes , the software would sometime have a mind of its own as we would see the start or finish times of class being altered to nonspecific time therefore we realised it wasn't human error. Then we have the new dashboard 2017 and unfortunately we experience a malfunction every one to two day. These have included historic classes being displayed on the app, all this continues despite the Glofox service team promising resolve the issues. Further problem have been experience with our clients unable to access the credits they paid for against the classes. other clients have had the money automatically taken for courses without authorisation. The Glofox team are very courteous but slow to respond apart rom an auto email stating that they acknowledge the message and will deal in due course. All in all a frustrating experience. Many thanks for the honest and constructive feedback. We are aware that the transition to our new dashboard was not as smooth as we would have liked and I am sorry for the inconvenience this caused you. It was great to speak with you on the phone last week and I am glad that things are going much better for you now. We will continue to work really hard to deliver for our clients and to continually improve the product. I look forward to getting more feedback from you again in the future. Pros: Turn-key, intuitive to work with, And, the team then customized when I need it for the software to align better with our club terminology. You can have great software and then bad support and the whole thing goes south- glopfox is exactly the opposite. The software platform is great but then add a team that executes under a tight timeline- big win and valuable software/partner! Thanks to the customer service team, thank you design team, and the app team you're the best !!! I highly recommend you to anyone! Cons: No cons really...enhancements? Maybe develope a Quickbooks interface so all sales can import into Quickbooks. Also, maybe add an auto crop feature for picture imports. Thanks for taking the time to share your experience with Glofox! It's great to hear that Glofox exceeded your expectations and that you're finding our support team very helpful. We appreciate your recommendations in terms of enhancements too - We'll be sure to pass these to our development team. Should you have any questions, you know where to find us! Comments: We have been with Zappy now just over seven months and our results have been amazing. Up to date software which is so easy to use. From the development stage to the ongoing support has been amazing and i can't recommend them enough if you ever considered availing of Zappy's services. They know exactly what each customer wants and designed our app to our specific needs. Their customer service is some of the best i have ever come across and i have had them returning my calls late on Saturday afternoons before. I can now reach nearly 700 of our members within seconds thanks to Zappy and our well designed app. Keep up the good work!! Delighted to hear you're getting on so well with the software and app! It's fantastic to see you reaching your entire member base from the click of a button. A new Dashboard with weekly and monthly calendar views, enhanced point of sale, quicker loading time, improved ease of use and enhanced reporting configurations. Enhanced push notification filters including the ability to target by class attendance, activity and membership type. Also, the launch of a 'community' feature enabling members and or trainers to message each other via your Glofox App. Workout tracking is also in the pipeline. The development of an Admin and Trainer app so that you can manage your business directly from your mobile phone. Via a "Check in Kiosk" or an "In App barcode" or key tag. We'll keep you updated on the launch! Perfect fit for my classed based fitness business! I have recommended this software to a friend and they are switching their entire plaform to Glofox. Cons: There are a few reports I'm after that I've heard are on the way. Overall: The platform enabled to grow my business from zero to profitable in under 6 months. While there were some bugs on the legacy app/software these have been ironed out and I have not had an issue in several months. Comments: Since opening my Yoga business 4 years ago, I found keeping my students engaged and keeping on top of my cash-flow was challenging. From working in some yoga studios I was using their online booking systems to check in students and payments. I found other systems cumbersome to do the most simplest task. One studio I hold yoga classes was (and still is) using Glofox and thought this was so much easier to do book, check in and receive payments, all online! I contacted Anthony from Glofox and showed me how easy it is to set up, and share with my clients. Pros: Payments are processed by another Irish company called Stripe. This is an additional module to the Glofox suite but it is coupled with the simplicity and seamless completion. This gives me and my clients an Excellent Customer Experience. Cons: If I do encounter issues with memberships and sometimes issues with students not able to book a class, support is only an email away or on their website, with a very quick response it is sorted. No delay and supporting the above mentioned, Excellent Customer Experience. Recommendations to other buyers: I would be happy to recommend Glofox to Freelance Yoga and Pilates teachers as well as existing Yoga studios. Payments go through very speedy from customers . It's fantastic to hear that such a high percentage of your clients are making the most of the app for bookings! Keep up the good work and do let us know if you have any questions. Pros: The marketing campaign was nice. The discounted prices were nice. The app looked clean. What the app and glofox claimed to do seems very useful. However, the reality is quite different. Cons: The issues are far too many and far too frequent, but here is a summary: 1. Customers are still unable to book some classes 2.All the reports are completely wrong. From revenue generation, to members, to leads, to no shows, literally nothing works. 3. We have a huge discrepancy in our revenue. 2/3 of the revenue reported by glofox is wrong. 3. Memberships don't work 4. Promos don't work 5. Clients have been wrongly charged 6. We aren't able to call customer support for help because they almost never answer 7. It takes forever for glofox to finally fix very urgent issues that are hurting our operations. We still have some issues that are not solved yet. You are far better off not having an app than having glofox. Firstly, thank you for the very honest review and feedback. It goes without staying that we have clearly not delivered on what was promised to you when you signed up with Glofox. I am sorry that you seem to have had such a bad experience with the platform. Usually in cases like this, something has gone wrong with the implementation of the software. There should be no valid reason why Members can¿t book or buy a membership. This is the core functionality of the platform. Also our reporting only reflects the transactions in the software so it could not be the case that a proportion of the revenue report is wrong. Comments: I have found the App exceptionally easy to administrate and even more importantly it is simple to download and function from our members point of view which is key, we have integrated this into the website now and can drive traffic and sales through these platforms 24/7 which is something that we previously could not offer. Of course we want to keep kicking on from here so we look forward to updates as they happen. With a smooth launch without any technical issues we are delighted with our choice and the service we have received from day one. Chris, thanks for the great review. We appreciate you taking the time! We're delighted to see the success you've achieved by driving traffic through your website and mobile app! Comments: Since opening my Yoga business 4 years ago, I found keeping my students engaged and keeping on top of my cash-flow was challenging. From working in some yoga studios I was using their online booking systems to check in students and payments. I found other systems cumbersome to do the most simplest task. One studio I hold yoga classes was (and still is) using Glofox and thought this was so much easier to do book, check in and receive payments, all online! I contacted Anthony from Glofox and showed me how easy it is to set up, and share with my clients. Payments are processed by another Irish company called Stripe. This is an additional module to the Glofox suite but it is coupled with the simplicity and seamless completion. This gives me and my clients an Excellent Customer Experience. If I do encounter issues with memberships and sometimes issues with students not able to book a class, support is only an email away or on their website, with a very quick response it is sorted. No delay and supporting the above mentioned, Excellent Customer Experience. I would be happy to recommend Glofox to Freelance Yoga and Pilates teachers as well as existing Yoga studios. Thanks for the review Emma, we are constantly updating our software with feedback from our clients. We built this with our clients in mind so every piece of feedback gets carefully considered. We look forward to giving you a continued excellent experience with Glofox and the best of luck with your yoga studio. We hope to be a great driving force behind its sure success!! Cons: More data review options for administrators to analyze . Unable to build as many profiles around who is attending the classes. More filter options needed. Very easy to use. Extremely helpful customer support. It's fantastic to hear that you're no longer losing revenue due to delayed renewals! We really appreciate your feedback. Our development team is constantly working on improving load time, so rest assured that this will keep improving! Pros: The app is great. Cons: Still needs some usability tweeking on studio owner side but this is ongoing. Overall: My clients love the app and find the user experience good. The system has evolved in the time we have been using it and Glofox appear to be continually trying to better the user experience both for the studio owner and their clients. Thanks for taking the time to write a review. We're delighted to hear that your clients love the app - we're all about the user experience! Our development team are continually working on making things even better for you and your clients - so we'll be sure to let you know when the next round of updates are ready! Thanks for sharing your fantastic Glofox experience! We appreciate the suggestions too - we'll be sure to pass these on to our product development team. Keep up the great work at NC Fitness! It's made my life easier and my clients love it! Comments: After doing a whole lot of research I came across Glofox. I have been signed up with them for a year now and to be honest I've not looked back.The software does everything I need and more. Customer support is 100% and that has been consistent throughout the year. They have always been friendly, patience and very helpful, for that alone I would recommend them. I love using the software but what is better is my clients love the app. I was redesigning my website and thought it was a novelty, but actually it has been much more than that. I am very happy with Glofox and would highly recommended them. Pros: It's easy to use, clients are really impressed with the app. Its cuts down on admin so saves me time. I can now reach everyone with push notifications and clients can be responsible for their own classes which again saves me a number of emails and calls. Cons: I would use the shop if there was a shipping option. To allow therapists to be able to access their part of the app to adjust their personal schedule. Recommendations to other buyers: Go for it! Pros: I like that the system is very easy to use from both our management side of things, to our customer experience. Clear visual display makes the app. that bit more user friendly and attractive to use. Cons: The system can be a little glitchy, as is the same with most computer system but Glofox have vowed to deal with these issues as they arise and this far have held up to their side of the bargin. Overall: We receive and system that is easy for our clients to manage and also provided a media that we can jeep in contact with our clients more readily. Push notifications are very help full and although we have not used it yet but the in app thread wI'll be brilliant for us for feed our client info on a more regular basis. Information that we believe will create a stronger trainer client relationship which we believe is very important. Thanks for sharing the details on your seamless transition to Glofox. We look forward to working with you long into the future! I can't imagine why this is so highly rated! Pros: I like the idea of it. Their staff is very nice. Cons: Nothing works as promised. Overall: I chose this option based on the reviews on this site but I can't imagine how it is so highly rated. I've had nothing but trouble with it--and I'm not a novice with this sort of thing. My very first credit card payment received was charged in Euros rather than dollars. The app and the desktop is glitchy at best and feels more like a beta version than a product ready for the masses. My clients have had terrible luck signing up or canceling their classes--the app consistently tells them the class has already passed even though it may be hours before the class time. My clients have lost confidence in the app and all but one have given up trying so I'm back to never knowing who is coming and having to be at my desk to check them in rather than on the floor overseeing their warm-ups with my assistant. The gym owner side of the app is useless. It crashes with every use--either on opening or when I try to navigate to any of the other pages. Last night, one of my clients purchased a package from the app for which they ended up with FOUR packages charged FOUR times to their credit card. I can't get out of this program fast enough!! Recommendations to other buyers: Don't do it. It sounds great but I've got nothing good to say other than their sales staff is awesome. Thank you for your review and your very honest feedback. I¿m really sorry about the experience you received as a Glofox customer. At the time you joined us, we had a complication with a server update, which unfortunately negatively impacted some of our clients. However, the successful update has now vastly improved our service speed and reliability for the future. We really wish you could have stuck around to see the improvement thereafter. I would like to assure you that this is not stereotypical of the Glofox experience and I am genuinely sorry that this occurred. Easy to use and support is very helpful! Comments: I would recommend Glofox because they are working to fix the things that are missing and are making improvements to the software. Plus it is so easy to use!!! Cons: missing some features that would be helpful when holding free events, app tells new clients that they are not eligible for a class instead of redirecting them to membership or package options so clients have to go to memberships first before they can book a class, needs to be all one step. no good way to have childcare schedule so have to set it up as a class and clients get confused. Pros: Easy to use, friendly staff available to talk to you on the phone. Professional looking app. Overall: Awesome friendly team, lots of expertise, no hidden agendas, just good passionate people ready to help build your business. Would highly recommend. Hi Carolyn,Thanks for taking the time to write a review of Glofox! We really appreciate it. We'll always be here to help no matter what the question, or the time. All the best, Glofox Support. Overall: I recently switched from another well known membership software that is sold as the one of the leading membership and payment processing companies out there. They were expensive, poor technical support, poor customer usability and overall not a great product. I luckily stumbled upon Glofox and our Gym is all round happy and excited to use Glofox. Their support and customer service is second to none, the app is getting great feedback from our clients, our staff find it simple and functionality is great. Gym operations is a lot easier under Glofox now. It was a great business decision switching over to Glofox. Switch over was painless as well with great support along the way. Hi David, fantastic to hear that you found a software that meets your every need! There are too many complex, inflexible systems on the market today. Our goal really is to take the pain out of fitness business management - it¿s as simple as that! Keep up the great work! All the best, Glofox Support. Cons: Development for courses and area bookings section needed for usability. but Classes section is great. Overall: We had used the services of Glofox for more than 6months and found them to offer a great product with the support to match. The system is clean and very usable for both staff and customers via the web and app portals. Very happy with the product and company who seem to have a vision for continuous improvement. Hi Daniel, Thanks for your great review! Be sure to get in touch if you have any questions whatsoever :). All the best, Glofox Support. Very impressed and so are my clients! Pros: Takes away the stress away from dealing with payments and class bookings, gives me much more time to do other things. Cons: Could do with booking and taking payments for Sports Therapy treatments. Thanks for taking the time to review Glofox. 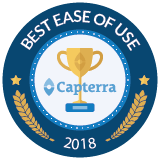 Ease of use is one of our top priorities, so we're glad you agree - you don't need to be a data scientist to use Glofox! We appreciate the feedback too. We'll be sure to pass this on to our product team. From sales to design to learning how to run Glofox the team is great all around. Cons: I would like to be able to limit the number of memberships that can be purchased. Other than that I have not found anything to complain about! Overall: Having Glofox decreased my time spent on admin related tasks. Our students love that all the classes and courses are right on their phone/tablet. Hi Kevin, thanks for sharing your experience! It's great to hear that you're finding it very easy to manage your entire fitness center online through Glofox. Keep up the great work! Yours in fitness, The Glofox Team.